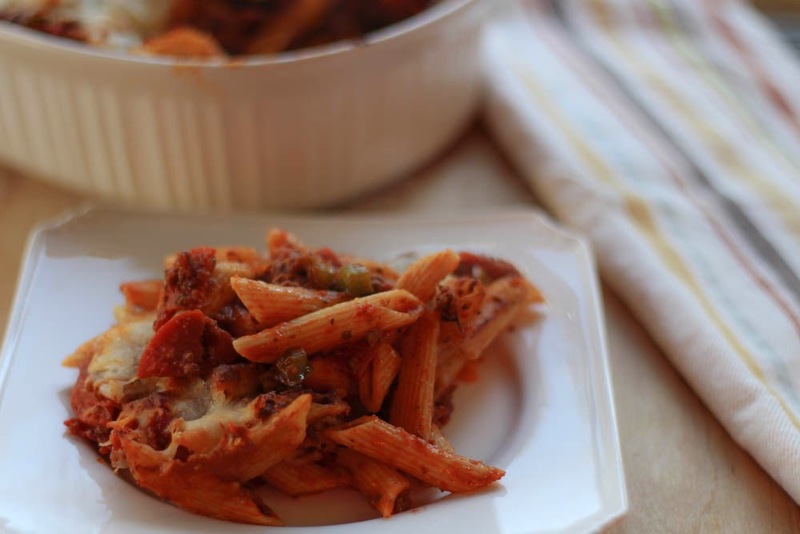 This pizza pasta is always a winner in our house. 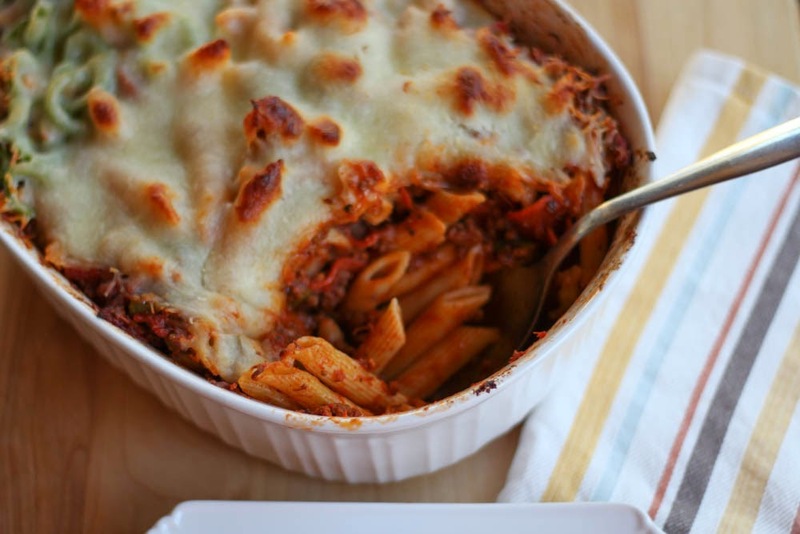 It's one of those dishes that is easy to prepare, always loved by the kids, and is perfect for lunch as leftovers. It has all the favorite flavors of pizza in a casserole. 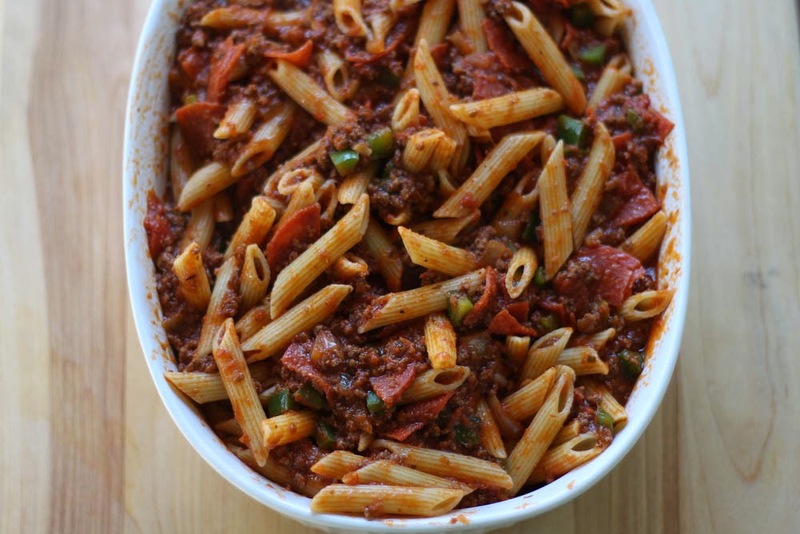 You can add anything to this pasta dish that you love on your pizza. 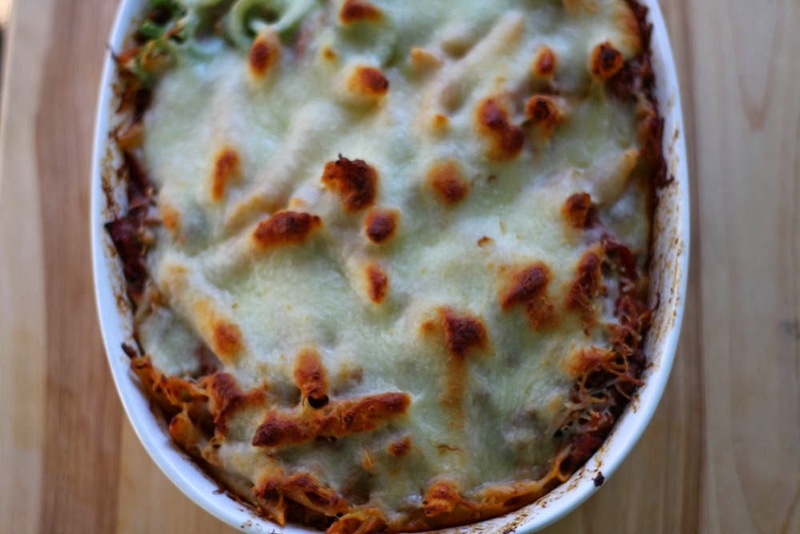 I actually make half of the casserole dish with meat and cheese for the kids and add green peppers and banana peppers to the "adult" side of the dish. I used ground beef but ground sausage or turkey would also be delicious. 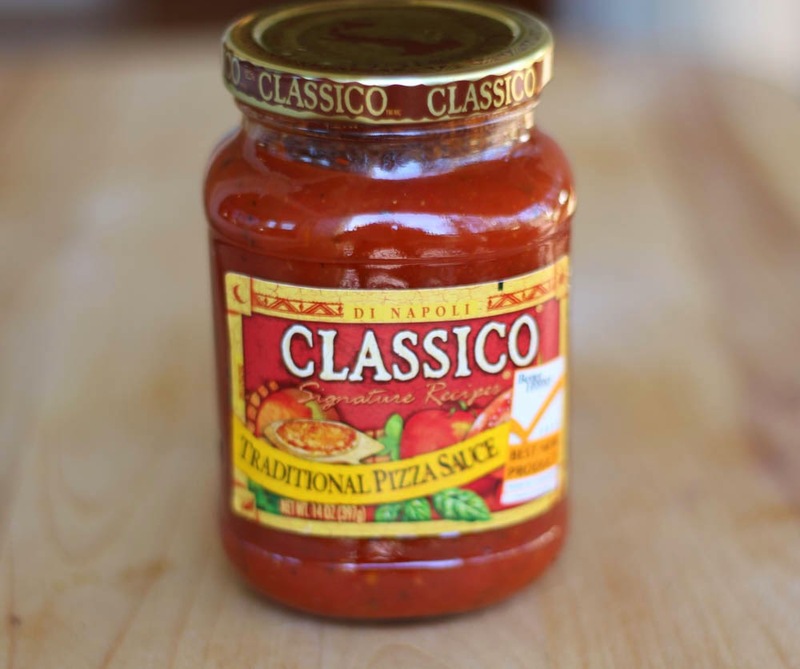 I use this Classico pizza sauce in this recipe. It's delicious. But you can use your favorite pizza sauce if you have one. I prepared the sauce in my favorite Le Creuset dutch oven. This is probably my most used, favorite item in my kitchen. I put off buying it for a year because of the price, but now that I have it, I don't know how I cooked without it!! Definitely worth every penny. Boil pasta according to directions. While pasta is cooking, brown ground beef. Once ground beef is browned, add diced onion, minced garlic, diced green pepper and sliced banana pepper. 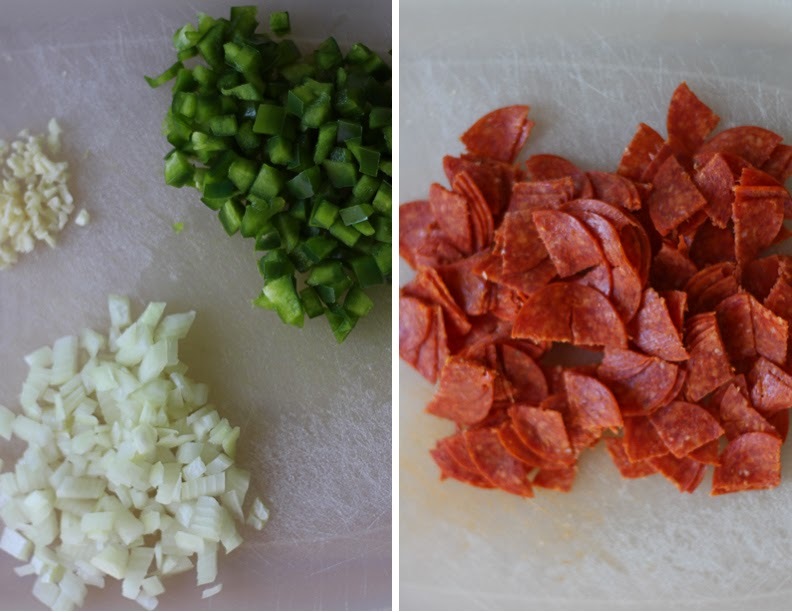 Cook a few minutes until onion and green pepper are tender. 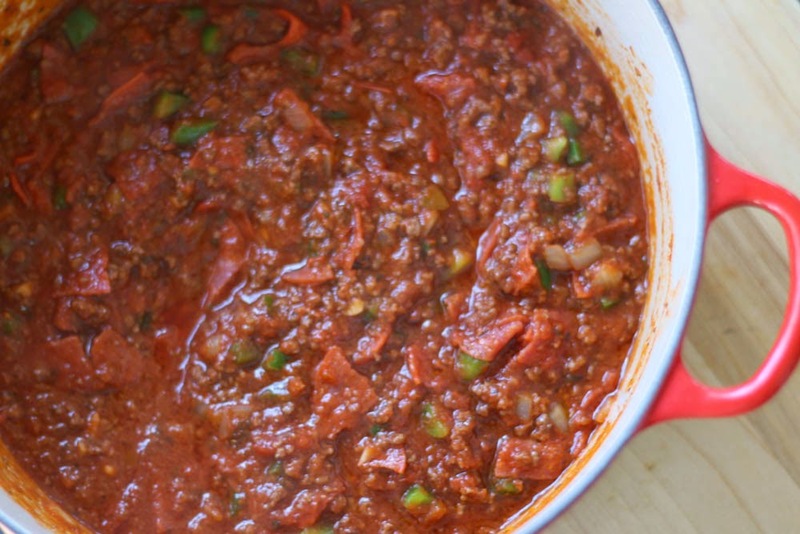 Add pizza sauce to meat mixture. Place cooked and drained pasta in casserole dish that has been sprayed with cooking spray. Add pizza sauce mixture over pasta and gently stir to combine. Bake about 20 min., removing foil for the last 5 min.